The much awaited Cyanogen OS 12 for OnePlus One was released earlier today through an OTA update and the flashable zip file is available as well. Since then a lot of OPO users are looking to update their device to CM12 which one can update easily by installing the update manually using stock recovery. The process isn’t straight forward if one wants to update to CM 12 from Oxygen OS. Unfortunately, several OPO users have bricked their device some or other way while trying to update it. In case, you’ve bricked OnePlus One or it’s stuck in a boot loop then our guide below will help you bring back your lovable phone back to alive state. This process allows you to flash the official Cyanogen OS 12 (based on Android 5.0.2 Lollipop) factory image on OnePlus One and restore it back to factory state. The guide is pretty easy and doesn’t requires using any commands or a toolkit. A simple script will let you automatically flash the stock firmware on OnePlus One in a few minutes. If you’ve a custom recovery installed or your phone is rooted then that will be switched to default state as well. Note: This process will WIPE entire data on your phone, including the data on internal storage. Before proceeding, make sure your phone is charged and you’ve taken a backup of your important data such as photos, media, files, etc. 1. 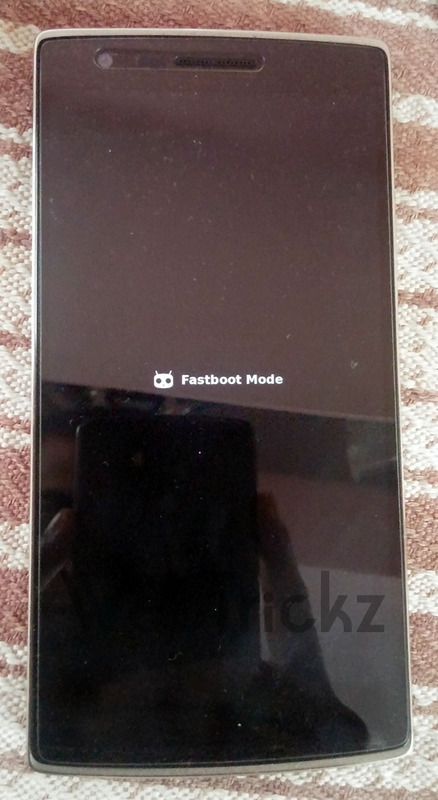 Download OnePlus One CM12 factory image “cm-12.0-YNG1TAS0YL-bacon-signed-fastboot.zip” (fastboot flashable package). 2. Download and install Universal ADB Driver for Windows. 3. Extract the contents of the fastboot.zip package to a folder. 4. Download the flashing tools package. It contains Fastboot & ADB files. 6. Boot OnePlus into fastboot mode – To do so, power off the phone. Then press the Power and Volume UP key simultaneously. The phone should show “Fastboot Mode” screen as shown below. 7. Connect the phone to PC via USB cable. 8. Now Run the flash-all.bat file by double-clicking on it. 10. After installation is done, the CMD window will close automatically. That’s it! 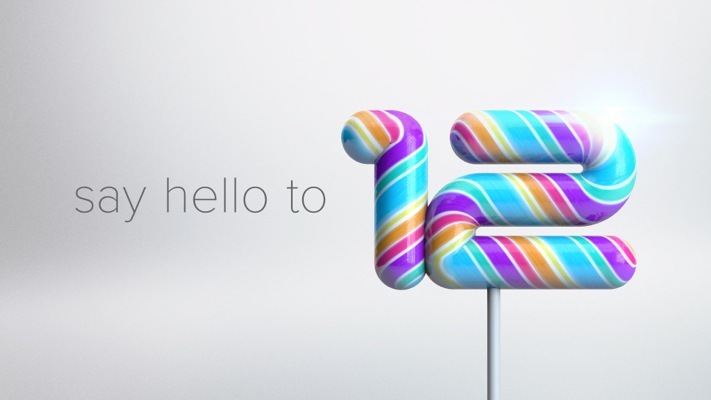 You have restored OnePlus One to the official and latest Cyanogen OS 12 ROM. Flashing over fastboot is possible on locked bootloaders as these are officially signed images. Flashing won’t change the lock/unlock status of your bootloader. It will remain locked/unlocked like before. You guys have saved my life! I accidently wiped everyting including my OS from my OPO, thanks to you guys i was able to easily get my OPO back up and running! I can\’t thank you guys enough! HI, will i lose the data from my phone by doing so? Yes, you’ll loose all the data on your phone. If you can’t really boot then sadly you’ve to loose your data. I get a \”Not found\” for the Download at point 4. Any body else? I am unable to locate fastboot.zip of step 3 and therefore I am missing flash-all.bat. It is not included in cm-12.0-YNG1TAS0YL-bacon-signed-fastboot.zip. What am I missing here??? Where the heck Is fastboot.zip??? and flash-all.bat? can you be more specific?? Open command prompt and manually install every file. The flash-all.bat file is indeed missing. Can you please explain what do you mean by \”manually install every file\”? I see the flash-radio.sh file. Do I need to perform all the 8 fastboot commands listed there? 4. the phone automatically responded by changing the screen, and after few seconds a question in Chinese. I tapped the right (gray) option and the wiping started. 5. The phone restarted, and I put it again in fastboot mode. but where do I do this? I tried it in the command prompt but it says that the command wasn\’t recognized.. This worked for me also!! Thanks much! For those who are still stuck, please create a file named \”flash-all.bat\”, edit the file and save the commands above in the file. accidentlly removed the os and inatalled the cyanogenmod recovey instead of twrp and thoght thats it all is gone but you saved me man thank you very much. My PC says the fastboot command is not recognized. How do I fix this issue so I can get my phone back? Thanks avaknin, flash-all.bat missing for me also. flash-all.bat is missing for me too, When I run fastboot flash NON-HLOS.bin i get \”error: cannot open \’NON-HLOS.bin\’\” please help! This post has been a saviour! Thanks a lot.. Yes its true that the flash-all.bat file is missing. I also lost my data, but at least got the bloody BRICK to work! As someone has mentioned above..
1) Open command prompt in that folder by pressing Shift key + Right click. 2) Right click on the top of the command prompt, click on edit and then paste the command mentioned below. Hope this helps in addition to the stuff mentioned above! i followed these steps and failed. Device not unlocked cannot flash or erase. Is it that i skipped the fastboot oem unlock part? THESE FREAKING WORKSSS. thanks. I didnt unlock the something at the first place so it didnt work. then I boot phone to fastboot mode once again and proceed with copying those commands into command prompt and pressed enter at the final command \”fastboot reboot\” and my damn brick is gone and phone rebooting normally. thanks man it really works!!!! One problem with this method is the userdata.img file is for 16gb model. I successfully used this method, then installed slimsaber 5.1.1. everything looked good, until I found that my storage had dropped to 12.7gb. you must replace the userdata.img file with the userdata_64G.img file available at the link below to get your full 64gb back. 5.1.1 is a rolling disaster for the OnePlusOne. Even with nano gapps, the battery life is half what it was on 4.2.2. I think the word for this is \”craptastic\” . David the link you put above this provides me with the 16gb model data over the 64gb as expected? Hey Guys! My phone is not working from 7 days. 🙁 it says \”error while searching for networks\” and the sim does not work. (P.S even the IMEI number was missing before I could put it back to stock, now the IMEI number is showing after flashing stock CMS. I recently broke my OPO screen and installed a new screen with frame myself. Since then my phone turns on only when connected to a charger and is stuck in the boot screen. I was able to get into fastboot mode when connected to a PC via USB and was able to flash all images as mentioned above. But on rebooting I was still stuck on the boot screen. If the phones not getting any power then it won\’t even turn on. Can anyone help me please!!! i got below error for userdata.img, can someone help pls? i have done everything right, i fastbooted and unlocked oem and even downloaded cm 12 put it into fastboot mode and then ran the flashall.bat file, my phone gets flashed but for some reason it is still stuck in the boot loop and i cant seem to get out of it, i was running previously on cm13 sultan rom and one day it shut down all by itself and got stuck in a boot loop! nothing seems to work. Please do help! I have the same problem as you akash, I haven\’t found any solution, even flashing a new rom via fastboot doesn\’t fix the bootloop. also was running sultans rom and now it seems like my device is bricked. When installing zips via TWRP the phone also reboots. Please help, I\’m sort of a noob with all this. Whenever I unlock the bootloader, the phone reboots to the TWRP page. Then, when I try to enter the other command prompts, I get errors saying the bootloader is locked. Arghh. For those who are unable to find flash-all.bat file I have got the solution. Just go to notepad and copy the following codes there. and save the file in .bat format.. Then just copy the file to the extracted loaction and then run it.. Then you should be able to flash your phone. The \”fastboot oem unlock\” isnt working! How ever after rebooting i check with \”fastboot oem device-info\” and it says its not unlockt. Repeated it 100 times. but i cant unlock this fastboot any advice?